Another year has come and gone, and we wonder about what is forthcoming as citizens of a highly connected and digitized world.In a society where everything can change in the blink of an eye, we list down what we think are most likely to happen in this 2017. 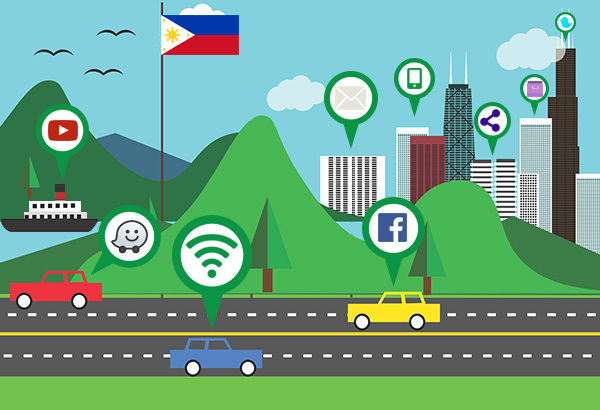 4G LTE is become bigger in the Philippines and it is no longer just available in key cities but also in far flung regions have also began enjoying this high speed mobile technology thanks to efforts of telcos such as PLDT’s wireless unit Smart. Smart’s use of its recently tapped 700MHz will allow for wider range of LTE signal reach and stronger indoor penetration. Just like its nutritious namesake, Fiber is the best option when it comes to ensuring a smooth and zippy internet experience. In recent years it has become more affordable and more reliable at that—it shouldn’t come as a surprise if it comes out with an even more affordable offering soon. Tap-to-go cashless payments will become the norm this year. We’ve already seen the contactless devices and tap cards make transportation less stressful, and it will become more versatile than ever. In fact it can already be used in popular convenience store chains. Many have already seen the online shopping revolution take shape, but it’s still not as cashless as it should be. A number still prefer the Cash-On-Delivery (COD) payment method over more modern and convenient means. The good news, online payment will continue to be more flexible and convenient, with the rise of virtual payment cards and accounts. With the increasing acceptance of these channels, no need for everyone to own a credit card to purchase goods and services from websites and apps. Internet of Things or IoT offerings for Filipinos will come into fruition. Unlike the ones available in more progressive countries, the localized version of IoT will cater to the Pinoys’ needs—perhaps a flood monitoring tool, door sensors, or even a real-time electricity consumption meter. All of these special functions can be monitored via an easy-to-use mobile app. Designing your own scale models will further spur creativity to an already creative nation. 3D printing can create a new breed of digital Filipino sculptors that can take the world by storm. Local manufacturing, too, can benefit from this technology as it will allow them to create prototypes quickly and at significantly lower cost. 2017 become more exciting, new products and new services are coming to all consumers for a easier and happier life.